Maybe a rectractable stern thruster ? 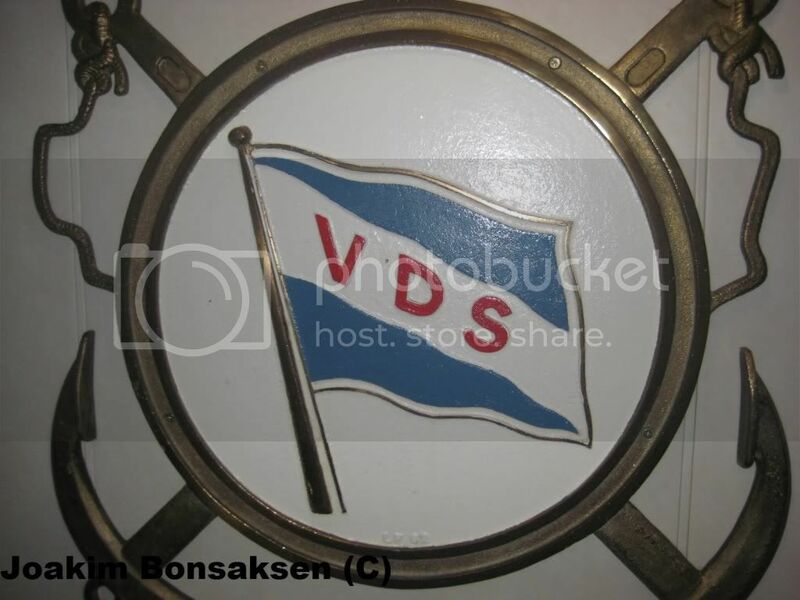 Could be, but wouldn't they have a new additional propeller mark on the stern then? Hmm I don't know actually. We didn't have that on tje Majesty. Maybe there are different rules when it's retractable? I wish I had, but I just overheard them on the VHF in the morning: they stated they were doing tests and officer training of the new maneuvering system, and needed an extra wide berth. They also spent an un-normal longer time docking. Could be new maneuvering handles on the bridge, some sparkling new buttons and new cool toys to play with. 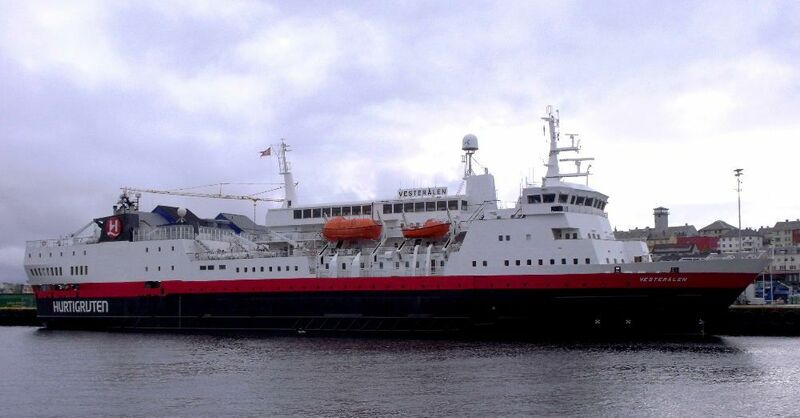 Are there any updates about Vesterålen and the new maneuvering system? Finally, spring seems to have arrived in your part of the world. I think you might have been the one experiencing the best weather in the whole country today. 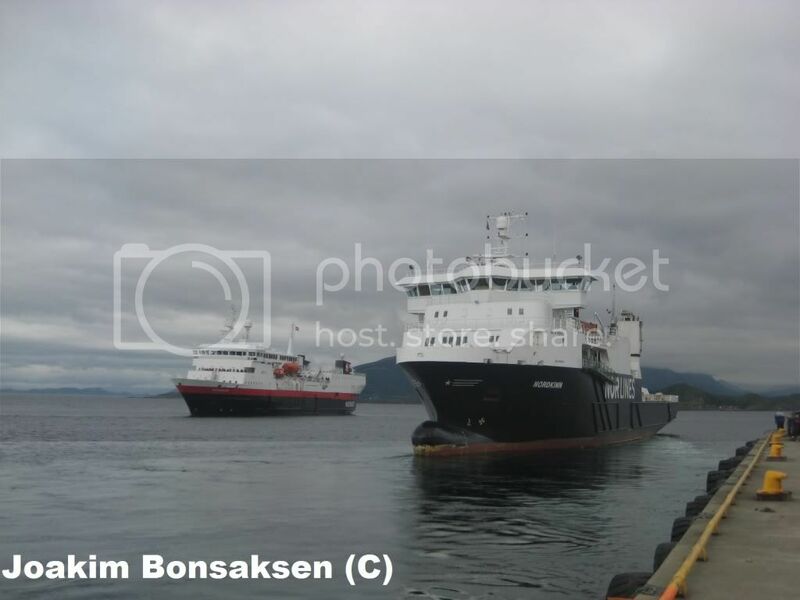 Well, I took some pictures yesterday of "Vesterålen" and a couple of other vessels in Kristiansund. Went home, made myself a good cup of coffee and turned on the pc. Connected my camera to the pc and nothing happened! Thought I would reinstall my photoprogramme, went for the cd...., but only to discover the cd/dvd driver was completely gone from "my computer"
Yesterday evening was no fun, as I tried to operate inside the computer register myself (DO NOT DO THAT!! ), and today I've spent some time with my pc-doctor. Phew Sterkoder! 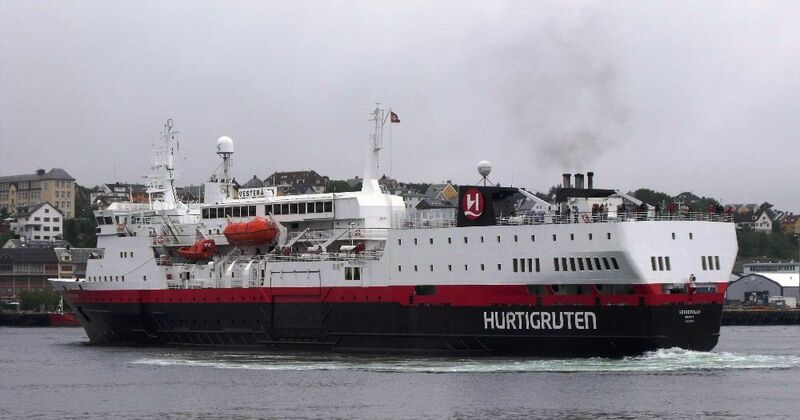 Always scary when these sort of things happen, but glad to hear you are up and running, and the excellent photo of Vesterålen was well worth waiting for! Incidentally, it is interesting all the different methods of working people have – that “connected my camera to the pc….” –I’ve always just taken the card out of the camera and put that in the slot on the computer, and copied the photo files in Windows Explorer. And way back on an older computer which didn’t have a memory card slot, I had a little card reader attached to the computer. Umm, noticed how I’ve managed to go doubly off topic, into both computers and photography here on Vesterålen’s thread! Do you mean I don't need to haul along on that impractical cordline...?? The pc-doctor fixed my pc for free today, and as I also had some very good service in that shop before, for free, I promised to mention their name in different places. Last edited by Sterkoder; June 26th, 2010, 18:27. When I put the card in the slot, an Explorer window appears automatically for the Drive letter allotted to the slot. I open a second window and browse to the folder I want to copy the photo files to. Then I select all the files and drag and drop to that second window. Finally, it is best to navigate back in the first window so you can see all your drives on the right hand side. Then right click on the Drive letter for the slot and select Eject. Then you can take the card out of the slot. "Vesterålen" and "Nordkinn" in Sandnessjøen. 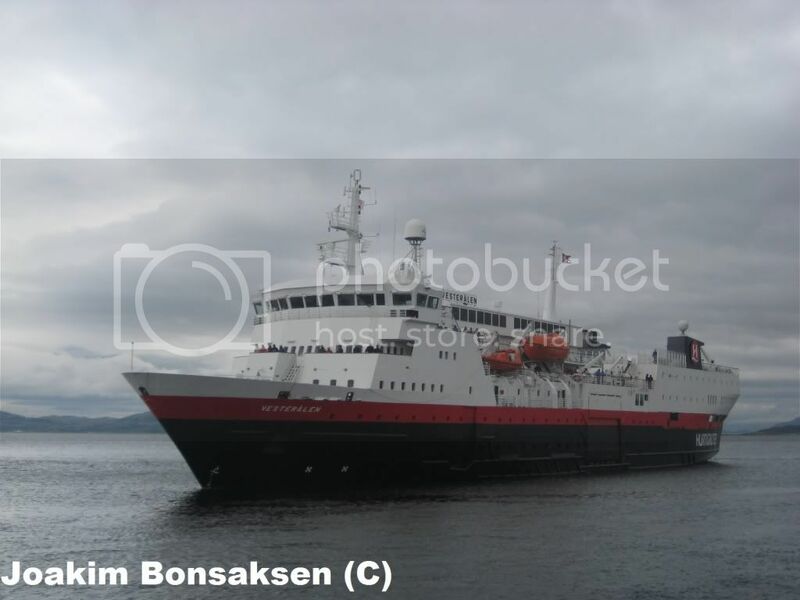 Helgeland, nice pictures of "Vesterålen" and "Nordkinn"
Recent Vesterålen images in the thread Summer holiday report: Trondheim - North Cape - Trondheim, in post number 36.